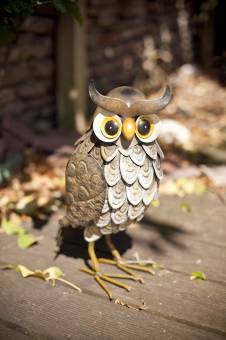 These realistic metal garden ornaments from La Hacienda are utterly convincing and a great way to grab the attention of a visitor! Create a wonderful wildlife scene in any outdoor space. There are plenty of animals to choose from, simply choose the one that suits your garden space. These wonderful metal ornaments are also a great gift idea and are available on a next business day delivery when ordered by 12pm!